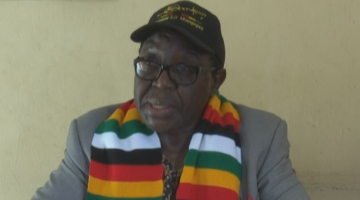 ZANU-PF has dismissed allegations made in court by some looting suspects alleging that they acquired military uniforms from the party, saying the claims emanate from the MDC Alliance to hide behind their fingers following last month’s violence. Some of the suspects who are appearing in court wore military regalia and terrorised residents in different parts of the country. Zanu-PF spokesperson, Cde Simon Khaya Moyo, said their claims that they got the army uniforms from the party were baseless. “Following reports that some hooligans appearing in court in connection with violent demonstrations, which occurred across the country from 14 to 16 January, 2019 are alleging that they were issued with military uniforms at the Zanu-PF Headquarters and other party offices, I wish to categorically state for the benefit of all, that these claims are not only plain and baseless but are a figment of imagination by these MDC Alliance sponsored hooligans,” said Cde Khaya Moyo. He said the party was fully aware that the violent demonstrations were thoroughly planned and coordinated by the MDC Alliance and their surrogates including the Zimbabwe Congress of Trade Unions and some foreign backed non-governmental organisations. “When one finds a tortoise behind one’s durawall, they need not to disturb it but look for the owner, for it’s common knowledge that no tortoise can ever climb a wall. “The allegations levelled against the party are the usual tactics of the MDC Alliance of hiding behind their fingers,” said Cde Khaya Moyo. He challenged the hooligans making such claims in court to name the Zanu-PF officials who allegedly issued them with army uniforms to allow the law to take its full course. “No one is above the law. Zanu-PF is a much disciplined party whose institutional values are embedded in the inherent revolutionary trinity ideals of unity, peace and development,” said Cde Khaya Moyo.